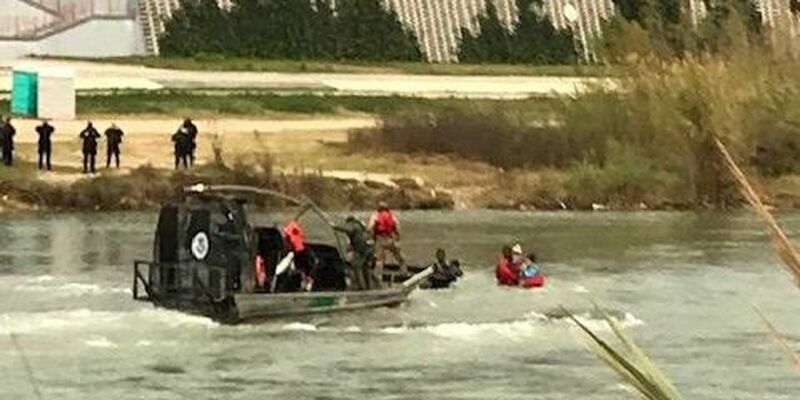 DEL RIO, TX - U.S. Customs and Border Protection says five immigrants from Honduras, who were struggling to cross the Rio Grande River, were rescued by a Border Patrol Marine Unit and a Border Patrol Search, Trauma and Rescue Unit. At around 8 a.m. Friday morning, agents observed the migrants attempting to cross the River near the Camino Real International Bridge, in Eagle Pass. The group of migrants, consisting of three adults and two children, ages one and three, were being swept away by the currents. The adults struggled to carry the children above the water, one woman nearly being pulled under with a child. Border Patrol units in boats responded with the Search, Trauma and Rescue Unit to save the migrants. The group was evaluated by Border Patrol EMTs, and offered medical treatment. The migrants were taken to Eagle Pass Border Patrol Station for processing.